It is a well-known fact that all kiddos would rather spend time in the water than about anywhere else. (Well, maybe excluding bath time.) Unfortunately for them, that's not always an easily achievable option. Only so many people can live by the coast and the seasons hardly cooperate for the rest of us! But, if we've learned anything about our kids, we know that they'll find any opportunity if we don't provide one ourselves. Of course, if the water isn't viable, there are always a few options for the creative mind. 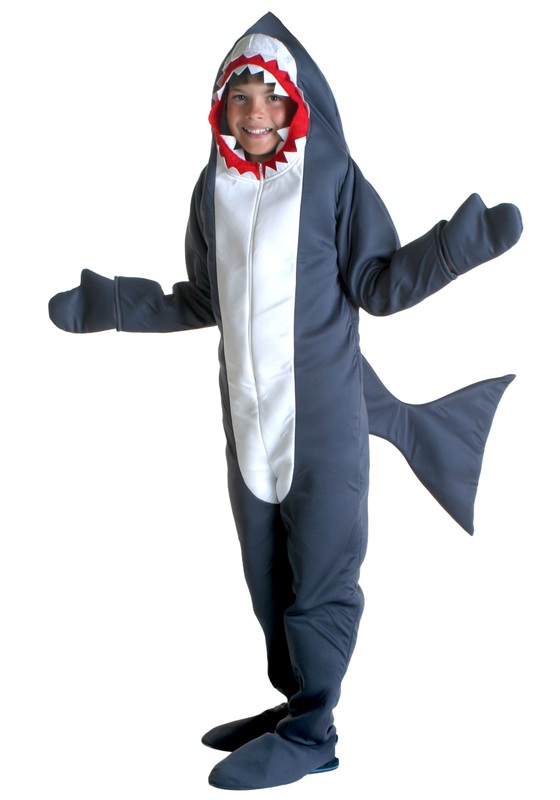 And almost none of them are better than turning shark week into a reality. Get ready to sing that dangerous tune and watch your feet while sitting at the dining room table, because we're about to turn your homestead into the deep blue! 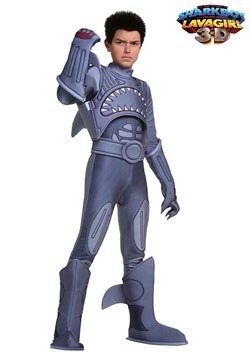 Your kiddo is going to live the real shark life with this Kid's Shark Costume. 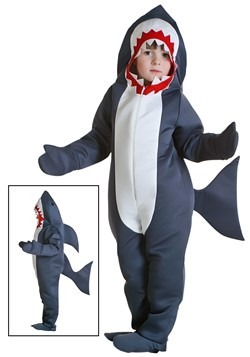 This adorable gray polyester jumpsuit has all the shark mojo that anyone could want, including its natural white belly. 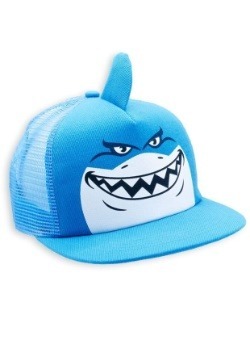 The hood comes over to not only protect your tyke's noggin but transform them into the ferocious ocean hunter. But, don't worry. 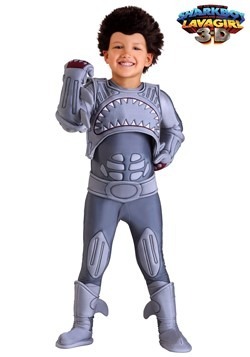 Those teeth are felt, so your ankles will be completely safe. The mitts fit easily and have openings on the palm for easy function and the shoe covers fit easily with elastic. 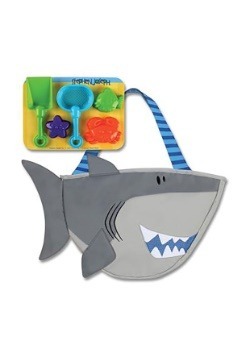 Gills are not included, so keep your kiddo on the surface! 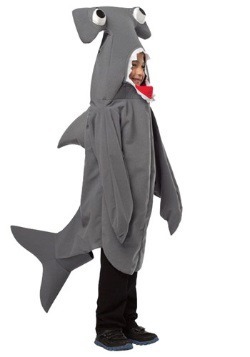 Shark Week is every week when your kiddo has this get-up available. 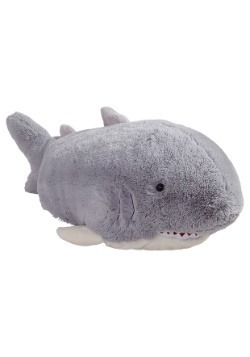 Watch them 'swim' around the house, hunting for prey, and probably sweeping up some of those frustrating dust bunnies while they're at it. Don't worry. 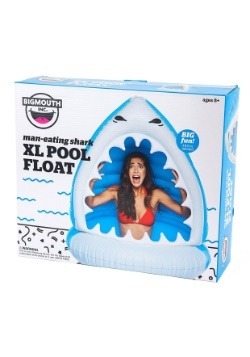 This will be the one time that seeing your kid's smiling face in the mouth of a shark will bring a grin to your face, too! Heck, you might want to hop into a shark suit, yourself!